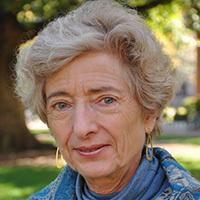 Evelyne Huber is Morehead Alumni Professor of Political Science at the University of North Carolina, Chapel Hill. She studied at the University of Zurich and received both her M.A. (1973) and Ph.D. (1977) from Yale University. She is the author of The Politics of Workers’ Participation: The Peruvian Approach in Comparative Perspective (1980); co-author of Democratic Socialism in Jamaica (with John D. Stephens, 1986); co-author of Capitalist Development and Democracy (with Dietrich Rueschemeyer and John D. Stephens, 1992); co-author of Development and Crisis of the Welfare State (with John D. Stephens, 2001); co-author of Democracy and the Left: Social Policy and Inequality in Latin America (with John. D. Stephens, 2012); co-winner of the Outstanding Book Award 1991-92 from the ASA Political Sociology Section, winner of the Best Book Award 2001 from the APSA Political Economy Section, and winner of the Outstanding Book Awards 2013 from the ASA Sociology of Development Section and the Political Economy of the World System Section. She has also contributed articles to, among others, World Politics, Latin American Research Review, Comparative Politics, Politics and Society , Comparative Political Studies, The Journal of Politics, Studies in Comparative International Development, Comparative Social Research, Political Power and Social Theory, American Journal of Sociology, American Sociological Review, and Economic Perspectives. She received an Honorary Doctorate in the Social Sciences from the University of Bern in 2010, a Guggenheim Fellowship in 2010, and the Distinguished Teaching Award for Post-Baccalaureate Instruction from the University of North Carolina in 2004. She is a former President (2012-13) of the Latin American Studies Association.